The last season of The Fall has made some interesting turn of events and has given its fans more and more reasons to sob. Fans have been consistently following the news, social media channels and are even awaiting an official statement from the makers of the show. 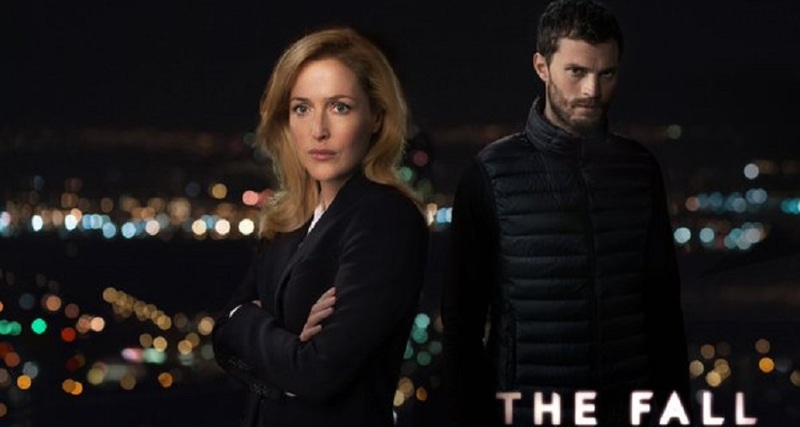 In the last episode, Jamie Dornan’s character, Paul Spector was killed and the detective, Stella Gibson, played by Gillian Anderson was also attacked by Spector leaving her severely injured. This had left the fans in pain and confused about the continuation of the show, as one of the leads is dead and the second’s future is in fog. According to a report by Parent Herald, Gibson’s character will get a chance to survive from Spector’s attack and that will be the focus point of the fourth installment of the show, if there is any. Jamie Dornan, since he was killed in the finale, his exit from the show is confirmed. This makes the fourth installment of the hit series even more conjectural. Fans cannot expect a show without him since he was playing a very integral character. Well, there is no official statement on this, a deleted scene from the show, shows that Gibson is leaving Belfast and is packing her bags. The news is still not confirmed but the odds are not on the side of Gibson, and the show as well. What has to be seen is, whether Gibson will be leaving the show or not and if there is a possibility of the fourth season then how things are gonna go with the story and most importantly the acceptance of fans, as the show proceeds without two integral characters. Jamie Dornan And Dakota Johnson Alleged Romance Update: Amelia Warner Knows The Truth!